Hello people of FMScout and welcome to The Football Challenge, where a footballing question will be asked and answered (hopefully) every day! I don't know how long this will run, but without your support it won't run at all so here are the rules of the quiz in all their length. A question will be posted on the thread each day. The first person to answer it correctly on the thread will be that days winner. These questions will be posted on Sunday to Friday. On Saturday, the overall winner will be picked. This is where each days winner for that week will be picked out of the hat and whoever is drawn is that weeks winner. The prize for the winner is simple. I, or, if in my absence, that week's organiser, will write an update for the winners story. It will be up to the winner to tell the organiser what to write it about via Private Message of Private Chats. If you wish to compete but don't have a story, that's OK too. If you ask the organiser they can probably sort out an alternative prize, should you want one. You can win more than one day in a week. If you do so you will be added into the draw twice - so you have a bigger chance of winning than the others. The question will not be put up at a certain time of day. This means that different people will be able to answer it so if you live in a different time zone you may not necessarily be at a disadvantage. You only get one guess per day so use it wisely! The difficulty of the questions may vary. Some may require you to own a certain book or to have read a certain passage, others you may be easily able to find online and perhaps there will be one or two you'll know of the top of your head! Except if you're Aaron. You won't know anything if you're Aaron. If a question is not answered one day, then no one is considered to be the winner for that day. To win the award for dumbest contestant. I'm gonna do averagely okay. Throughout their history, the Netherlands national football team has often had a few black players - usually descending from the former colony of Surinam. 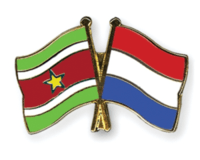 But who was the first player of Surinamese descent to play for the Netherlands? But also, answer this: the two Dutch clubs said player spent time at would later merge together (alongside another club) to create which current Eredivisie side? 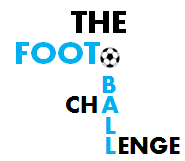 First person to get the correct answer(s) wins the first day of The Football Challenge, so good luck! Humphrey Mijnals and USV Elinkwijk/VV DOS formed FC Utrecht? 2014-07-27 08:54#186583 AlexTHFC : Humphrey Mijnals and USV Elinkwijk/VV DOS formed FC Utrecht? Along with Velox, Elinkwijk and DOS did indeed form Utrecht, Mijnals did indeed play for them, and he was indeed the first player with a Surinamese background to play for the Oranje, meaning you are indeed the winner for day 1! 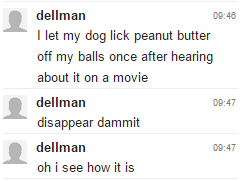 If you don't mind me asking, how did you come about this answer? Great question Louis, really challenging and made people think - good start! 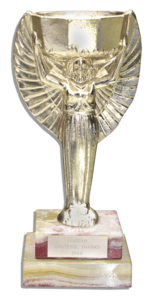 The Jules Rimet trophy was one of the most sought after trophies in the world. Every footballer wanted to get his hands on the prize - but during the Second World War, no tournament was held - so, according to Brian Glanville, which city was the trophy kept in?